Q: What book are you embarrassed to admit you LOVED? I don't know that "embarrassed" is the right word to describe this, but this is a situation where I apparently disagree with most everyone! 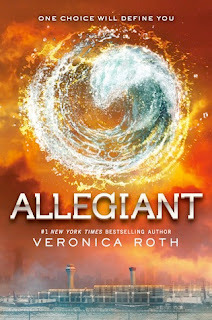 I really loved Allegiant, but I seem to be the only one. The more reviews I read, the more I think, "Was I just delusional? Was I just still on a high from reading Divergent and I just couldn't come down?" (I read all three books in a row, which I think helped a lot). I don't really know the answer, but even after reading all the criticism (some of which I agree with), I still really loved the book and I DEFINITELY loved the series. How about you? What book are you embarrassed about loving?